If you listen to the professional chefs on television, you'll get the impression that a good cook only uses fresh herbs. And the fact of the matter is if I have fresh herbs I use them. But I live in a third-floor condo and although I have both a balcony and a large porch only the balcony gets sun and then only for an hour first thing in the morning (if I'd known that, I may not have bought the place). This means I can't grow herbs even in pots - and believe me, I've tried. So if I want fresh herbs I have to buy them - at $2 a package. And when I do, I almost inevitably end up with 3/4 of the package going bad before I can use it. Such are the problems with cooking for two. 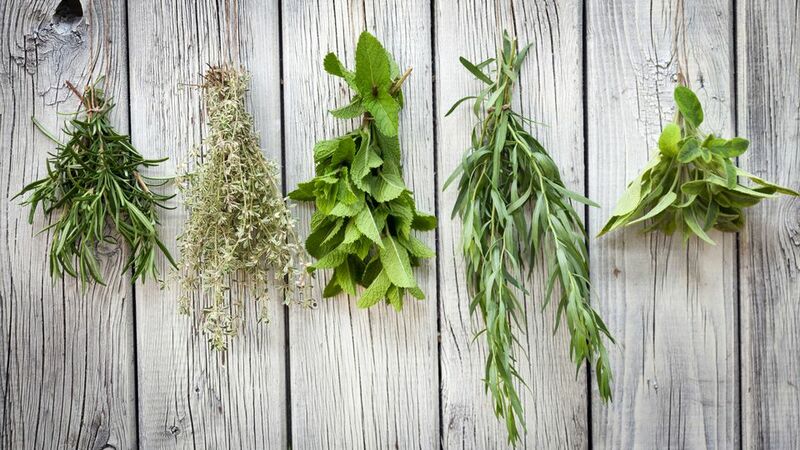 But in fact, fresh herbs are not always superior to dried herbs (provided the dried herbs are less than six months old). If you're including the herbs in something you're cooking for 15 minutes or more then you are inevitably cooking away the volatile oils and esters that make fresh herbs fresh. Then you're left with the less volatile flavor components that dried herbs also have. Let's say you're making a classic Marinara sauce and will be simmering it for an hour. There's no reason to prefer fresh oregano and basil while cooking it. Dried herbs work just as well. If I were serving this sauce to company I would garnish it with fresh herbs after plating so the freshness would stand out, but typically I make a big batch of sauce and then freeze what I don't eat immediately. Dried oregano and basil work fine. If I make a salad and want to add herbs to the salad or dressing then fresh herbs are the best choice - although if you add dried herbs to a dressing and let it age for a couple of hours it's still good. If you're making Bearnaise Sauce fresh tarragon is milder and more complex that dried tarragon, but the tarragon should be added at the very end so it only warms up. A few herbs don't dry well and lose all their flavor - never buy dried parsley or chives. And avoid dried rosemary leaves - eating the dried leaves is like eating needles, however long they cook, but finely chopped dried rosemary is fine. So if you've been obsessing about using fresh herbs and hating the expense, relax. Think about how long the herbs are going to cook and if it's more than 10 minutes used dried herbs instead. Remember, you only need 1/3 as much dried herb as fresh. So if 3 tablespoons of fresh, chopped basil are called for, use 1 tablespoon of dried.